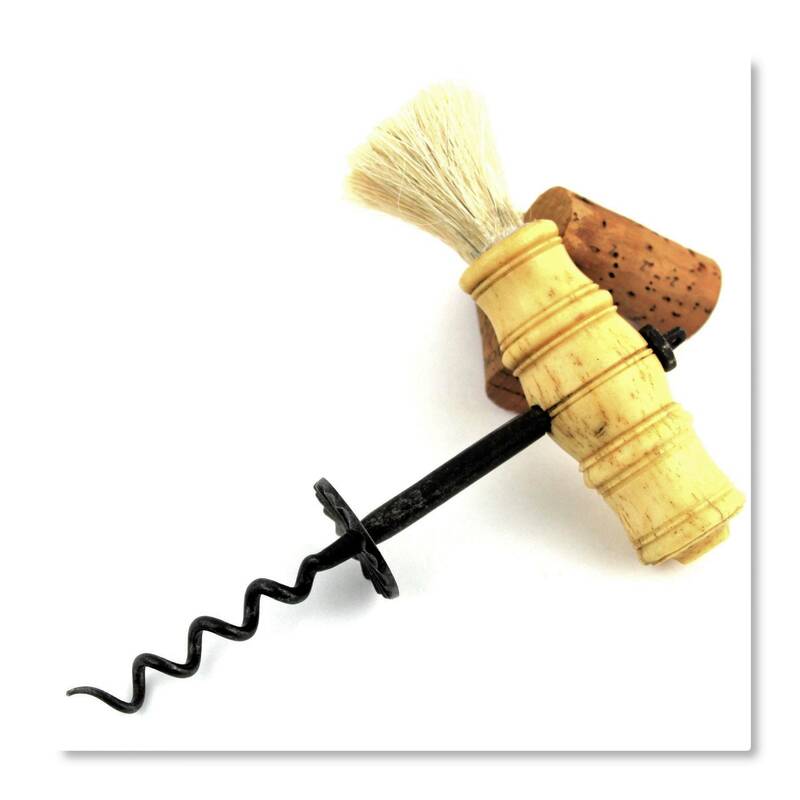 *The ornate handle is made of bovine (cow) bone with matching end cap the brush is fine horse hair. 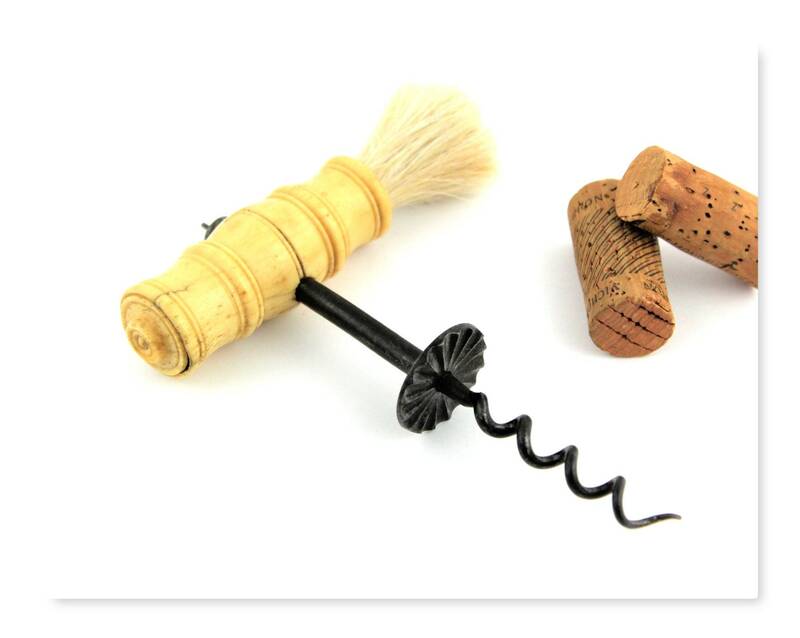 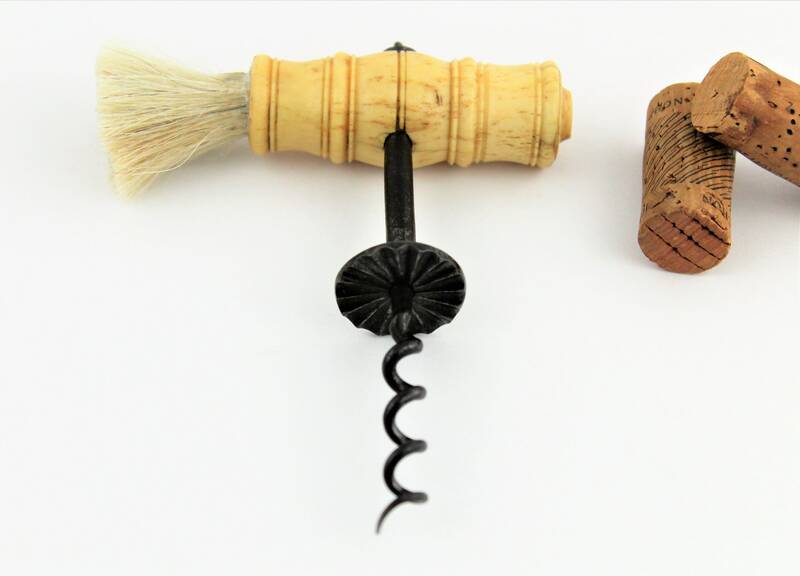 *The Easer is the round button just above the worm (corkscrew) these hit the top of the cork as you turn the corkscrew and twisting the cork and releasing the hold on the bottle allowing you to pull the cork with ease. 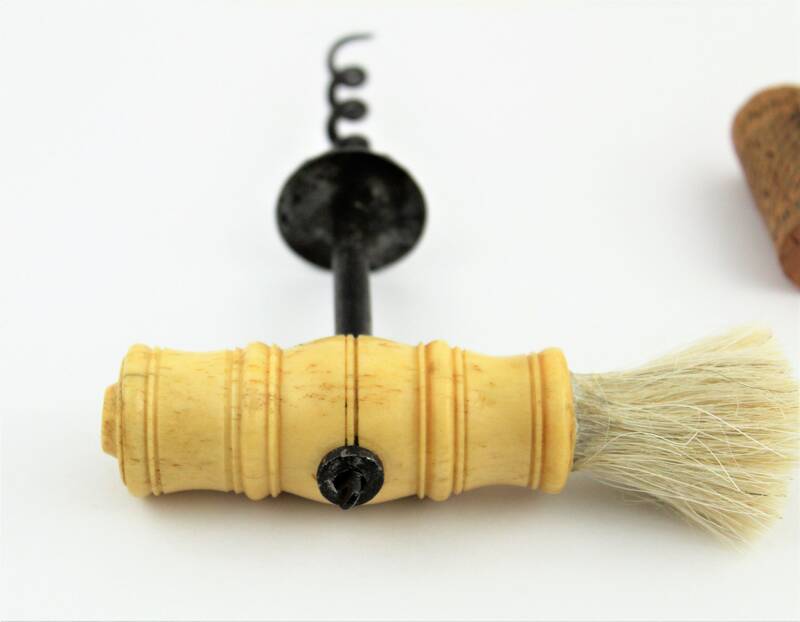 *The Dusting Brush in the 1800s you would have ventured down to the dirt root cellar to choose a bottle from the rack using the dusting brush to clean the dust and dirt off the bottle before opening. 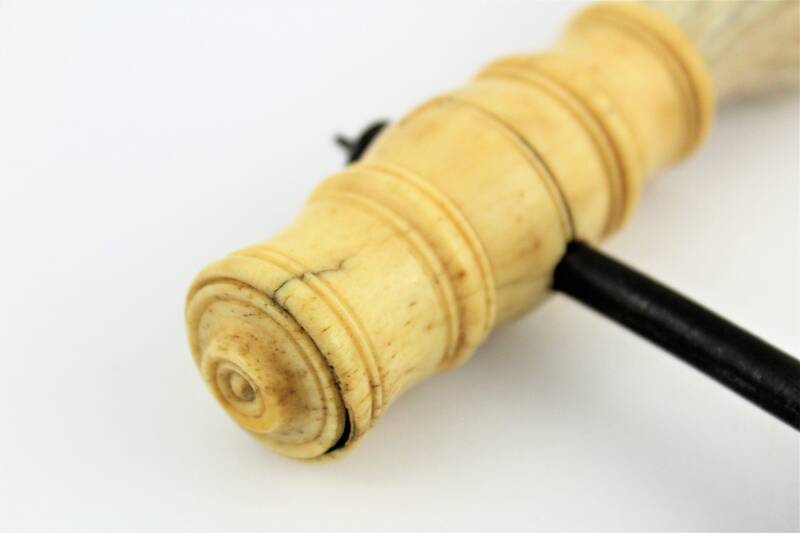 Measures; 6.25” tall, 4.5” wide at handle, Handle is 1" diameter. 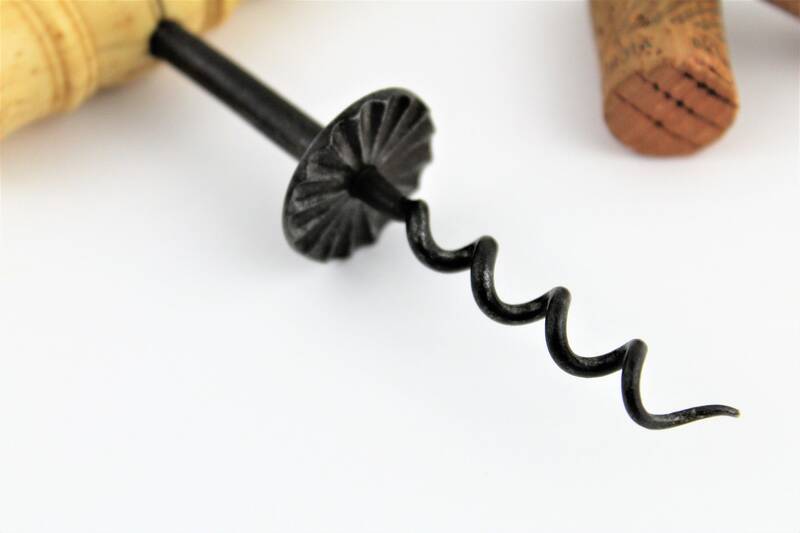 Condition; Very good for age, the handle has a slight bit of play but still very solid, the very tip of the screw has been chipped off but still very functional.